Much unlike slapping tinted moisturizer on with our fingers or swirling a brush through powder and calling it a day, contouring requires a lot of time, effort, and skill (not to mention the patience to sit through a comprehensive YouTube makeup tutorial or five). For those of us who lack one or more of those things, the face-chiseling technique is pretty much off the table—after all, why even bother with trying your hand at it if you know you’ll likely end up leaving the house looking like a notorious celebrity fail? That’s where cheating comes in. We know, we know: in most contexts, cheating is frowned upon, but not when it comes to makeup. We fully embrace beauty cheats of all kinds, from updos that only look complicated to mascara that only looks like false lashes. After all, “cheats” make our lives easier while making us look better, so as long as we’re not applying that philosophy to other areas of our lives, we think we’re doing just fine. So, about that cheat. Contouring with powder isn’t difficult, per se, but it does require a brush, which is far more involved than we’d like most of the time. Contouring with cream or liquid pigments is difficult—it’s messy, for starters, and all too easy to apply way too much way too quickly. 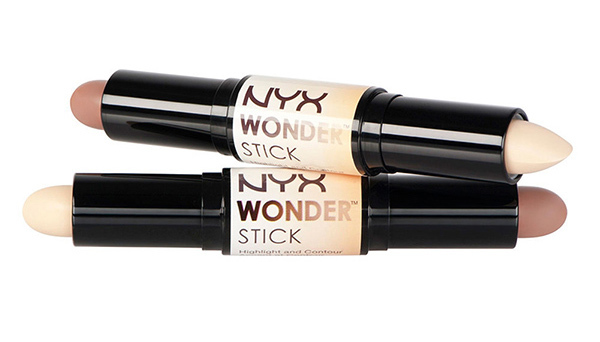 We’re historically fond of beauty products that come in crayon or “stick” form, so a stick intended for contouring seems like a natural progression… and, oh, it is.